The Chicago No. 5 is a rail press that was manufactured by Sigwalt of Chicago (maker of the Chicago No.10 and the Nonpareil 3×5) just after the turn of the 19th century. 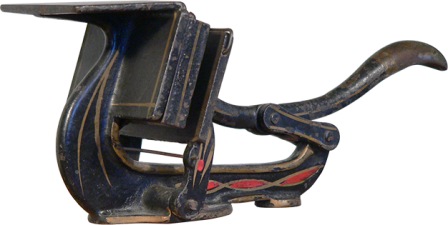 Rail presses (a modern classification for a type of miniature, or toy press) could print, but just barely.